Shami got there in his 56th match, three fewer than Irfan Pathan needed in 2004. 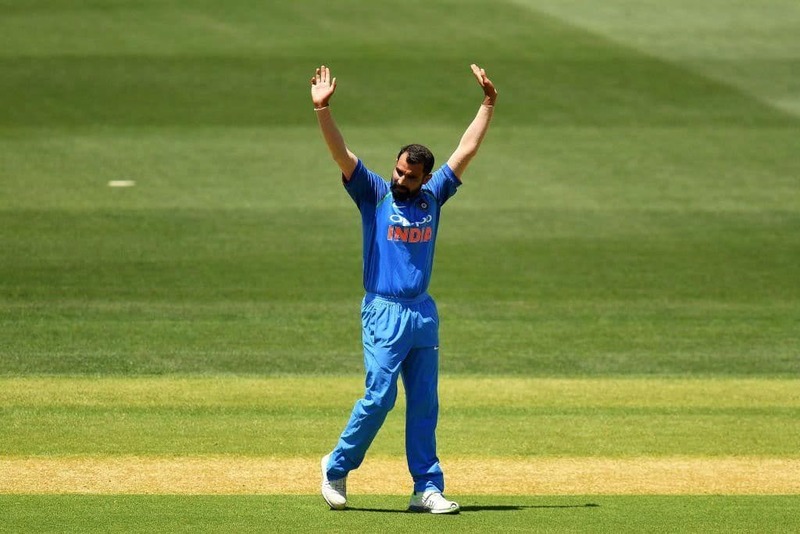 The fast bowler Mohammed Shami has become the fastest Indian to the landmark of 100 ODI wickets, surpassing Irfan Pathan‘s record in three matches fewer. 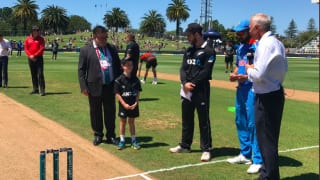 Shami achieved the milestone in his opening over of the first ODI against New Zealand at Napier’s McLean Park when he bowled Martin Guptill 5 in what proved a wicket-maiden over. Shami took his 100th wicket in his 56th ODI, which is three less than Irfan required when he reached the landmark in 2004. Shami, 28, had been out of India’s ODI side for a while but returned in October for two games versus West Indies and was then retained for the recent matches in Australia, where he took five wickets in three games. In a career dating back to January 2003, Shami has claimed 100 ODI wickets at an average of 26 with a best of 4/35. That it has taken him over six years to get to 100 ODI wickets is indicative of the stop-start nature of his career. He missed nearly two years of ODI cricket after undergoing surgery after the 2015 World Cup, and played just three games in 2017 and two in 2018.